In its session held on June 16 and 17, the Central Committee of the PCU unanimously approved the following Political Resolution. 1. Uruguay, and the transforming process of our country in which we are fighting, lives today one of the most complex moments of the last 15 years. This is because of the structural and organic crisis of the capitalism, that in its development, in addition to the serious social and human, implies a serious danger to peace and to life itself. 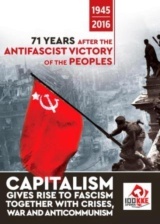 For the political, and militar and ideological counteroffensive of imperialism and oligarchies in the world, with special emphasis on our continent, and also in our country, which seeks to recover the spaces of political power that lost and consolidate the economic and media, which they always had and still maintain. 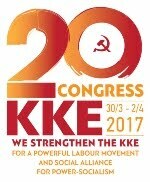 As we already said in our XXXI Congress, and in the resolution of our Central Committee in March, the combined impact of these factors and the popular responses to them cause an exacerbation of the class struggle This is what is being experienced in the world, in our continent and in our country. 2. We discussed and organized ourselves to face this worsening of the class struggle and meet the central objective defined by our XXXI Congress for this stage: Defeat in Uruguay the counter-offensive of imperialism and open, with struggle, ways to advance democracy, towards socialism. 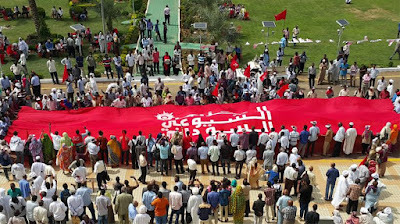 For this we consider the necessary development of the struggle in the programmatic, political and vindictive field with a line of masses and mobilization that unleashes the popular offensive; helping, from the particular to the the general matters, to place the axis in the confrontation between the two country projects; an unitary course, that defends and develops the political and social tools of the unity of the people in contribution to the consolidation of the political, social, democratic and radical bloc of the changes. 3. To organize our militancy and our struggle we ratify for this period the 7 axes of political action defined in March: 1) National Budget, discussed at length with the popular movement, one that responds to the fulfillment of the program of government of the Broad Front (Frente Amplio – FA).2) Salary Councils (Tripartite negotiations in the private sector and bipartite in the public-state sector) .3) Work on the implementation of the resolutions of the recent Congress of the PIT-CNT, strengthening the trade union movement on the strategic orientations approved.4) Congress of the FA (Decembrer) .5) Approval of popular laws: Employment for people with disability on private owned companies, employer's insolvency fund, local labor law and law of house rental, among others.6) Memory, truth and justice and never more on the fascist crimes.7) Anti-imperialist solidarity and fight for peace. 4. In the brief time that elapsed between our last meeting in March to date, the Communists, together with our people, have waged intense struggles and given a mass response with struggle and unity, to the counter-offensive of imperialism. 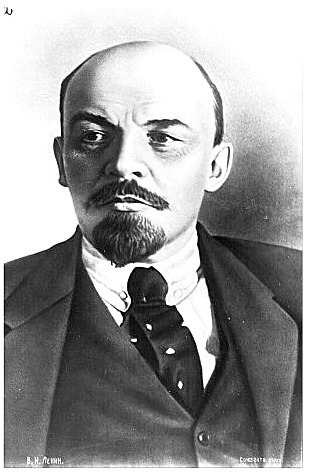 We emphasize, in these months: Massive march of March 8; the important partial stoppage and the huge march participation of the PIT-CNT in April; the act for the anniversary of the 8 Communist Martyrs of the 20th section of our Party, with the placement of a memory plate by the national government, the largest of recent years; solidarity with democratic struggle of the Brazilian people, here in front of the embassy and in Brazil itself, in the camp for the freedom of Lula; May 1st, the largest rallies all over the country in recent years; the activities made for the 200 years of the birth of Karl Marx; the inauguration of the Memorial in front of the former political prision (Penal de Libertad); the hundreds of thousands who were mobilized throughout the country on May 20 for Truth and Justice and never more; the act of homage to Manuel Liberoff; solidarity with the struggle of the Venezuelan people and with the Bolivarian Revolution, with presence there during the elections; the universitarian elections, expression of democratic reaffirmation in the UDELAR; the Congress of the PIT-CNT; the presence and speech at the ILO of Flor de Lis Feijoó, first woman to deliver the central speech on behalf of the Uruguayan trade union movement in that area; the discussion and elaboration in Thematic Units and open debates of the proposal for the Frente Amplio Government Program for the forthcoming period and the hundreds of mobilizations, debates, assemblies and struggles that have taken place length and width of the country in these months. 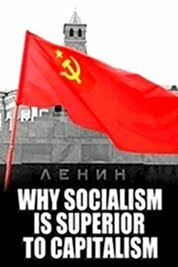 A superior response from the people is necessary to face to imperialism and the political right, but to build it, it is essential to assume and synthesize the struggles that we have done and build. 5. In the framework of the international situation characterized above, we express our solidarity with the people of Palestine against the criminal Israeli aggression that already leads hundreds of deaths. With the people of Guatemala, which in addition to the enormous tragedy caused by the eruption of the Vulcanoe, aggravated by the government's criminal negligence, faces the brutal violence of the oligarchy: less than a month, 7 campesino leaders were murdered. With the democratic struggle of the Brazilian people, demanding the end of repression and assassinations and the immediate freedom of comrade Lula, unjustly imprisoned. With the struggle of the Colombian people and the defense of peace, against the persecution of the murders and the bet to the war that implies the entrance to the NATO of that country, agreed by the government of Juan Manuel Santos. Our solidarity with the people of Nicaragua and support for a process of dialogue to build peace and a political solution to the situation of violence in that brother country. In particular, we ratify our solidarity with the Bolivariana Revolution and with the right to self-determination of that people, and we repudiate the threats and aggressions of the USA, the OAS and the puppets of imperialism grouped in the so-called Group of Lime. 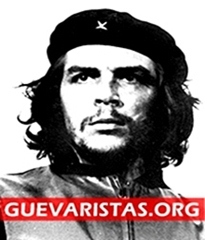 Our solidarity with Cuba and its revolution and the demand of the end of the criminal blockade by USA. 6 We express our frontal rejection of the interventionist statements, which constitute an attack against the national sovereignty of the designated plenipotentiary ambassador of the USA in our country, Kenneth George. The government of Donald Trump, in a change in quality of politics to Uruguay, he appointed for the first time an ambassador of political trust for our country and not a career officer. George appeared before the US Senate a few days ago, the first ratification hearing. There he said that "his main focus" of work will be "change the Tabaré Vázquez's government stance on Venezuela”. He also said that he will act to stop "China's growing influence in the region and in Uruguay". These expressions, of intolerable imperial arrogance, self-explain that his actions in our country will be of permanent interference and provocation. We denounce and warn our government and all our people about them. 7 We especially welcome the holding of PIT-CNT Congress, which constitutes a victory for the workers and for the entire popular movement. The reaffirmation of the unity of class in a single trade union; the ratification, by a large majority, of the historical line of the trade union movement, the accumulation of forces and the construction of the social and political unity of the people; the construction of a unitary list to shape the direction and the relevant role of the women comrades in the elected direction; constitutes an enormous contribution of the working class, for all the people. We welcome the role of unity builder played by the Gerardo Cuestas course inside the movement throughout the discussion process, and, in particular, the role played by the militants of the Communist Party (PCU) and the Communist Youth (UJC) in that Congress. 8. 45 years after the coup d'état, which Yankee imperialism and the oligarchy gave in our country, as part of a continental offensive against our peoples, we reaffirm our commitment to the defense of democracy and freedom. We express our eternal recognition to the 15 days General Strike in 1973, and to the struggle and f fight from the first day against fascism by the trade union movement, the students movement, the entire popular movement and the Frente Amplio. We once again claim for Truth and Justice, so that the crimes against humanity of the Terrorism of State no to be unjudged and with all our people, the Never Again dictatorship. 9. We express our condemnation of the antidemocratic coup carried out a few days ago, in Santa Clara de Olimar, by members of the "Un solo Uruguay" movement, the National Party and the oligarchy landowner of the area. We repudiate aggression in gang against an assembly of workers, militants of the UNTMRA (metal), and the aggressions against the Departmental Plenary of Trenta y Tres of the PIT-CNT. This aggression adds to the burning of a union camp of rice workers; the whipping to strikes “rebencazos” to a rural worker by a landowner last year; and the murder of a trade union leader in cargo transport, the attacks against premises of Frente Amplio in La Floresta, Neptunia and Paysandú, and against locals of the PCU in Montevideo. All these acts are the expression of a campaign of hatred and criminalization of the popular organization and the left. We call on all democrats to repudiate it. 10. The PCU expresses its discrepancy with the content of most of the modifications proposals to the Code of Criminal Procedure, considering them a setback and compromises its work in Parliament to avoid putting progress on this level at risk. It also ratifies its position contrary to the signing of an FTA with Chile, for the arguments long expressed, in public and in the organic fields of our Frente Amplio. Here we also commit our effort to build a political solution, with the greatest possible support, towards the Plenary of the Frente Amplio next Sat 23. The PCU follows with great attention the evolution of the negotiations for the strategic agreement with China, both by our solely country, and the one proposed with the entire CELAC, and considers them of enormous importance. 11. 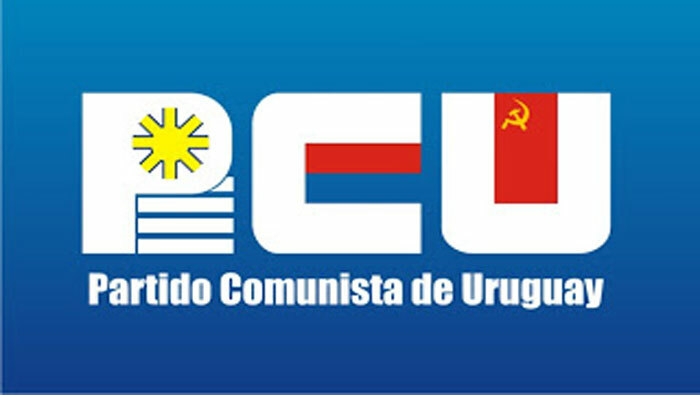 Regarding the 2019-2020 National Budget (Rendición de Cuentas) Project, whose main lines have been presented to the PIT-CNT and to the Frente Amplio parliamentary bench by the Economic Team, the PCU recognizes and values ​​that this Budget project is not a “zero expense” and less is cutting, it implies an increase, even in the difficult regional and global situation the amounts. Trying to keep the fiscal responsibility, this Budget has clear social priorities, in the antipodes of the cuts and setbacks of other countries in the region and of what the social and political right proposes and for our country. Being true the previous thing. 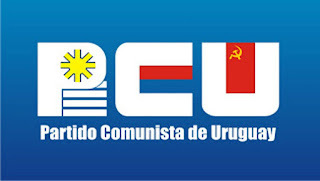 The PCU considers it insufficient to give answer to the needs of the productive development of our country, to the just demands of important social and to fulfill the programmatic commitments of our Frente Amplio. In political terms, we consider the guidelines presented an important mistake, since they erode the unity of the political and social block of the changes, said in other terms, isolate our government from its political force and both of their social base. We share the concern about the restrictions imposed by a complex external and internal situation, but we believe that, despite all the advances conquered, we continue with an increasingly primarized productive matrix, which affects the non-expansion of jobs and the quality of them, betting on Direct Foreign Investment as almost the sole variable of economic impulse, diminishing the role of state public investment, establishing the so-called "accounting balance" as the only concern and leaving on the way actions to move towards the redistribution of wealth. Not to modify this vision, conspires against the maintenance of the advances achieved by the Frente Amplio and the popular struggle since 2004. The announced Budget is insufficient for the needs of strategic areas of the country (education, health, housing, public investment that generates jobs, etc.). It even ignores the needs identified by the authorities of public educational system -ANEP and the UDELAR-. There is a particular concern about the budget increases destined to Education and health. In the field of public state education, if the budget project, we will be far from 6% of GDP for it and 1% to develop national research. This will imply not being able to cover creation of new labour vacancies, investments in building infrastructure and equipment (new constructions, repairs and extensions of the already existing), students scholarship systems, salary increases and greater budget for Investigation and development. In Public Health, if it is kept as planned, it would not allow compliance with commitments already made with the workers and with essential investments to sustain and deepen Health reform. 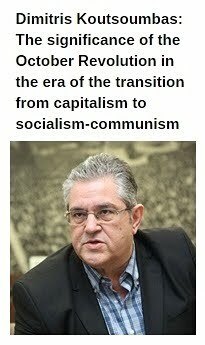 Our Party, the trade union movement and various sectors of the Frente Amplio have raised fiscal and tax initiatives that tax more to big capital and its gains to generate more genuine economic resources to allocate to public investment state, (IRAE increase, repositioning of the Patrimony Tax, etc. ), which we return to vindicate against options that say there are no alternatives. We demand a discussion of the Budget Project before its entry into Parliament, which includes the FA as such and not only to his parliamentary bench. We are committed to continue working in all the areas where our Party develops its activity and militancy to achieve, before the deadline constitutional maximum to send the budget message to Parliament (June 30), modify substantially said message of Budget in the above sense. 12 To contribute to this effort, the Central Committee appointed a working group to raise in a few days, concrete proposals to improve the Budgetary Project, requesting interviews to the President of the Republic, Tabaré Vázquez, and to the authorities of the ANEP (public pre primary, primary, secondary, high school and techincal secondary), the UDELAR (University of the Republic), the UTEC (University of Technologies) and ASSE (State Healt Administration) to know directly their needs and proposals at the level budget. 13 We understand essential a comprehensive and in-depth approach to everything related to the citizen security. It's a real problem that impacts our people, both as something objective and such as in the subjective fillness of our people. The Frente Amplio governments have carried out important actions to address this issue both with social policies, inclusion, and in the different aspects linked to the fight against crime, especially drug traffic. The crisis of capitalism and its current structure that includes the globalization of drug traffic and its influence, reproduces constantly phenomena of social marginalization and violence. We reject the manipulation of right and the big media that use this topic for a scary campaign and of impulse of reactionary solutions. An example of this is the proposal to lower the age of the imputability, defeated by our people, or the most recent campaign to collect signatures to militarize the police or directly take the army to the street. These proposals would imply democratic regressions and would not solve the problems raised in any way, as they demonstrate dramatically several countries in the region where they have been implemented and failed, Argentina, Brazil, Guatemala, El Salvador, Mexico or the USA itself. It is necessary to articulate the development of social policies in greater depth, and also, strengthen the fight against crime, from police action, prison policy and judicial action, together with the strengthening of collective and social frameworks that prevent a greater penetration of violence and narco We have campaigned on alternative proposals from the social movement, such as the Exit Program in the Child and Youth Ïnstitute (INAU), the current agreement to generate reincorporation to normal path of minors offenders of the law by the work, between the constructions workers trade union (SUNCA), the Chamber of Construction and the institute for the internation of adolescents (INISA), or the experience of clothing trade union (SUA) of job training in several prisons in the country. We assume the problem and its implications, and we commit our effort from the Government, from politics and social movement to face it. 14. In the framework of the central objective of the stage, to defeat in Uruguay the counter-offensive of the imperialism, the national, departmental and municipal elections will be a key moment of political and ideological synthesis of all our people. The PCU will mobilize towards them, and in them, with the central objective of constructing a political synthesis that modifies in a popular sense the correlation of forces in our society. For this, the organized popular protagonism and our efforts are, and will be, concentrated on achieving it and building it. This construction has a key political and ideological dimension, the Government Program, the central expression of unity and of the proposal articulator for the transforming action. The two dimensions indicated above are expressed specifically in candidatures. 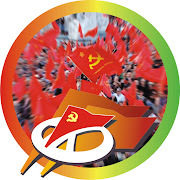 Within the framework of the foregoing, we ratify our historical conception of building a unique program and a unique candidacy that expresses it. And develop all our militant effort for the conquest of a fourth national government of the Frente Amplio front with parliamentary majorities. 15. We once again affirm that we conceive this struggle as "a historical process and it is fought throughout the society, every day. This is the dispute for hegemony, for power. That accumulated by our People, in organization and conscience, brought us here. A new level in the accumulation of forces of the people is needed to advance ". 16.This effort to overcome the insufficiencies and make a leap in the level of accumulation of forces of the people includes the need to build a PCU and a UJC up to what it claims the historical stage that we live and the challenges we face. 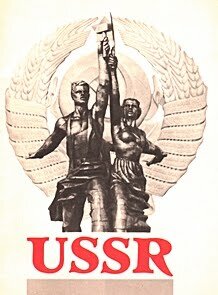 We ratify the commitment, first place of this Central Committee, and of all the communists, for the 2018-2020 Plan as central tool, raise a PCU and a UJC, stronger, more organized, with more strenght and influence in our society, as our main contribution to our people's struggle to advance.